Royal University Hospital officially opened on Saturday, May 14, 1955, during a public ceremony officiated by then-Premier Tommy Douglas. The seven-wing, seven-storey hospital took eight years to build. 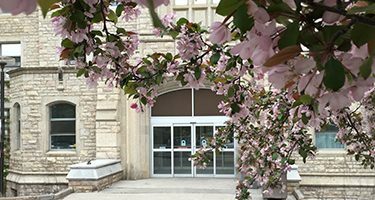 A first-class hospital facility with diagnostic equipment and laboratories was now linked with the University of Saskatchewan College of Medicine to deliver a comprehensive health program. Within the Saskatchewan Health Authority (SHA), Royal University Hospital serves as a leader in providing acute-care services for the province. 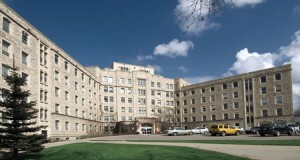 The hospital serves as the main trauma centre for the entire province, houses many maternal and child services, neurosurgery and cardiovascular surgery, oncology including Saskatchewan’s only Stem Cell Transplant Program, PET-CT Centre, and cardiology, oncology, and respirology departments. RUH Foundation was established in 1983, and has since raised and invested more than $130 million of donor funds into innovative research, education, and patient care priorities for health-care advancements at RUH. Working together with donors and medical teams, we are saving lives. RUH continues to enhance its programs and services through innovation, technology and research, ultimately improving patient outcomes. This provides a great opportunity for donors to support transformational care for patients and provide a difference in healthcare for the people of Saskatchewan. The RUH Foundation continues to partner with the SHA to make that happen. To create excellence in health care by raising funds that anticipate and respond to needs for innovative research, education, and patient care at Royal University Hospital. 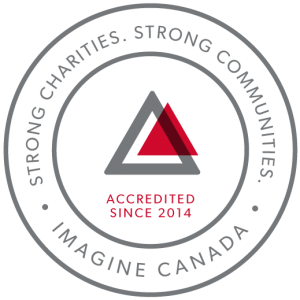 In May 2014, Royal University Hospital Foundation was awarded the highest level of accreditation and shared the distinction of being one of the first charitable organizations in Saskatchewan to be accredited under Imagine Canada’s national Standards Program. With this achievement, we join a growing community of more than 100 organizations dedicated to operational excellence. Royal University Hospital Foundation is also committed to resolving any complaints and concerns in a timely, fair, and consistent manner. At first glance, a crocus looks like a small, delicate flower, but there’s so much more to it than that. The small flower with big meaning. In Saskatchewan, the crocus is the first sign of life in early spring, often poking through the snow. No other flower can surpass it in resistance to our cold temperatures and harsh winds. Known as the light bulb of the garden, the crocus seems to have been created just to brighten up its surroundings with such vibrant colours. The crocus is open during the day and closed at night to provide the plant with extra protection and longevity. This little flower represents everything we stand for and that is why we proudly display the crocus as part of our logo.